I have started to scrapbook my 1 year old's artwork to preserve his masterpieces and have as a keepsake. Finally...my Bachelor Fine Arts and Graphic Design Major being put to use. 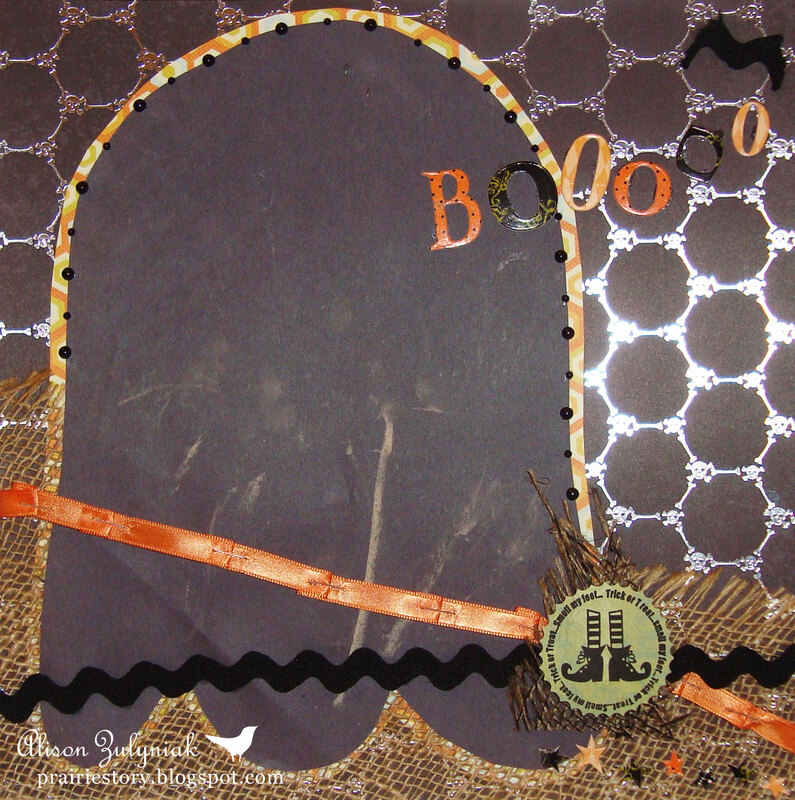 For this Halloween Ghost page, it was interesting trying to strike a balance between my son's artwork and the scrapbooking materials and embellishments. The burlap was amazingly easy to work with - I simply cut it, frayed the ends, ironed it, then used spray adhesive. I folded and stapled the ribbon to give it a rougher, messy look, and I thought the staples picked up the metallic from the paper. Lastly, by cutting the rickrack on an angle I was able to make cute little bat for the top right corner. What a fabulous start! 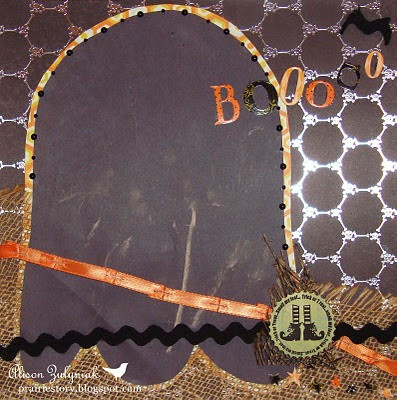 Halloween is also my most favorite crafting times.